For achieving a more sustainable land use management it is a key issue to take economic impacts of settlement development into account. For that a detailed assessment is needed. Local authorities are increasingly aware of this issue, but transparent information and appropriate instruments are still missing. 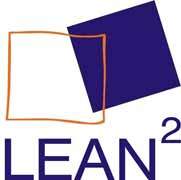 Main aim of the LEAN² project was to design a computer based calculation tool (in combination with GIS applications) to show the fiscal impacts of land use planning and settlement development. The tool enables local authorities to compare different development scenarios and clarify the long-term costs of a further urban sprawl. The project included a first test and application of the tool within selected municipalities. Where to best integrate this tool into the local planning process was decided based on findings of a policy and process oriented analysis. The case study application guarantees transferable results for the local level. Furthermore the project delivered guidelines and gave advice for a further development of planning, finance and legal instruments.